In the primeval forests in Northern Finland, creatures great and small abound in a swirling ecosystem as complex as it is beautiful. 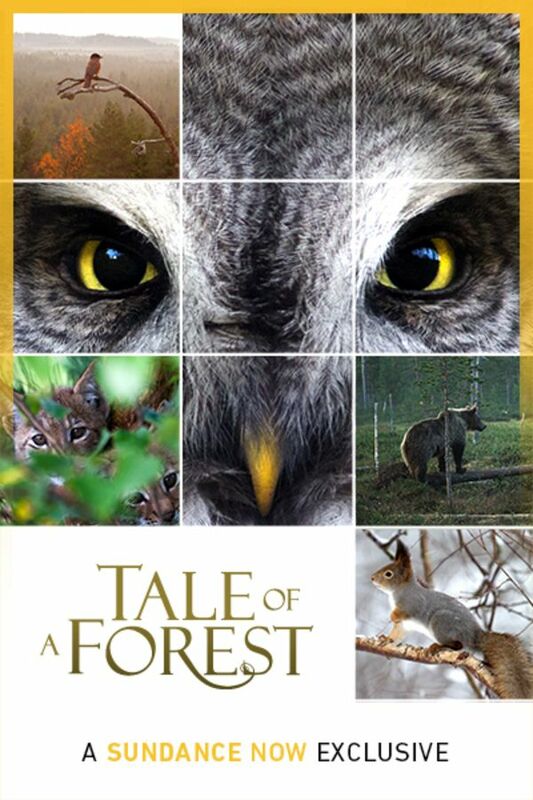 In this family friendly nature documentary, viewers are given unprecedented access to an extraordinary section of ancient woods to witness the way life works for birds, bears, elk and more. If you love BBC’s Planet Earth, you shouldn’t miss this wondrous tale, or its superb sequel, TALE OF A LAKE. The ancient forests of Northern Finland contain a rich and complex ecosystem of animals and vegetation. This extraordinary documentary takes viewers inside this rarely glimpsed landscape while also highlighting many mythologies connected to the Finnish forest. A moving and exquisite film. From it I understand the deep wisdom of the forest and came to see the intelligence of those Finnish legends which pointed always to the subordination of humans to the wild space they cautiously visited, hunted in and regarded with awe. These legends told a wiser tale than the story of profiting from the "materials" available through destruction. I wept every five seconds. A gem to behold!! Both the Tale of a Forest and the Tale of the Lake were incredibly beautiful! Love seeing the biodiversity of each ecosystem. The filming was so awesome and I really enjoyed the myths and legends that were shared. Narration was just perfect! Amazing, tender beauty. Artful sparse use of human commentary.